When you’re taking pictures outside, you need the best waterproof camera bag to keep your expensive equipment safe if the weather turns nasty. They lock out moisture, plus have the storage space you need to hold all your camera components. Many of them also have padded areas inside, so bumps won’t break camera casings or lenses. There are also a few different styles and sizes to choose from, so you can always find the right camera bag to suit your specific style. If you’re in the market for a new waterproof camera bag, check out our reviews and buying guide for the top models and what to look for in the best bags available. 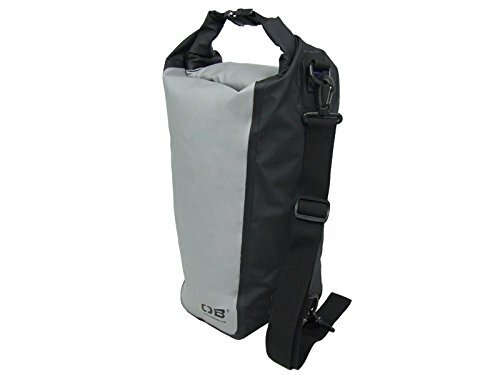 Why Get a Waterproof Camera Bag? Who Needs a Waterproof Camera Bag? Which is the Right Waterproof Camera Bag for You? 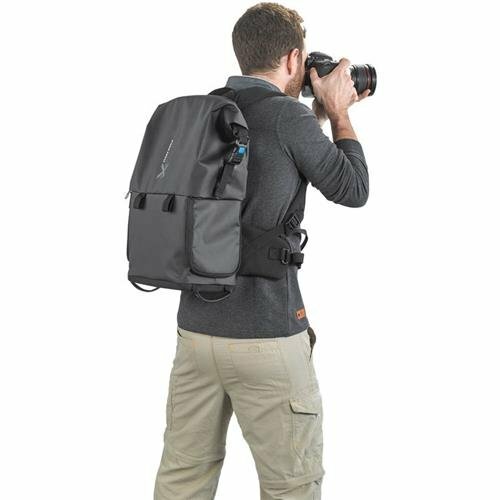 The Lowepro Whislter BP 350 AW is a great waterproof camera backpack for those who like to take their photography into the wild. It is made of durable materials that block out the water, so a little rain won’t ruin your day or soak your gear. The shoulder straps are padded and adjustable for extra comfort. There is a chest strap for stability, and a padded waist belt with attachments for ski poles and other necessary items. There are three large compartments for all your gear. 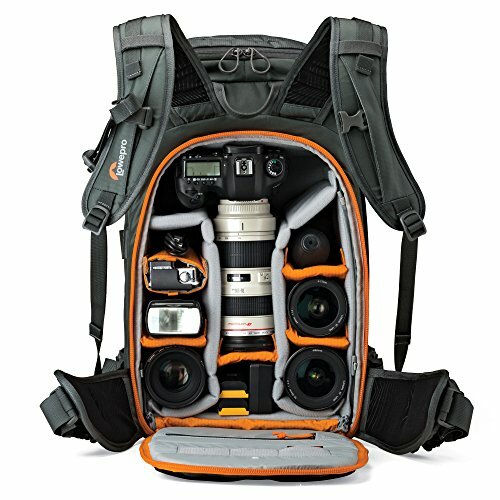 The back one is meant for your Pro DSLR camera, with room for 4 lenses, a flash, and a GoPro. All of these fit into handy slots, with adjustable dividers to fit everything securely. There are two more compartments as well. The middle one is perfect for a change of clothing, plus has a small zippered mesh pocket with a clip for keys. The outer front pocket can hold a pair of shoes, a light jacket, or even a set of crampons if climbing is necessary. This area has a waterproof barrier and some drain holes, which helps to keep wet gear from soaking the rest of the items in the bag. Other handy feature include the outer compression straps, a small side slip pocket, and daisy chains to attach the items you want close at hand or can’t fit inside with the other gear. If the weather turns damp, there is a detachable All Weather (AW) Cover for some extra protection. 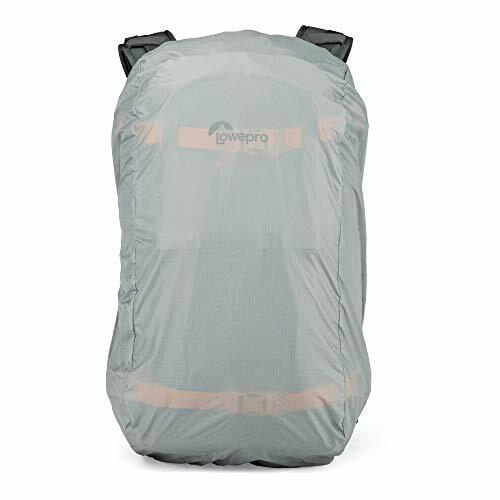 If you need a small waterproof camera backpack that is sure to keep all your gear dry, the Lowepro DryZone 200 is a great choice. It is made of nylon, which is already a durable fabric, but this nylon has been rubberized to repel water and keep your gear nice and dry. There is also a patented TIZIP zipper on the camera drypod, which is completely waterproof, eliminating any leaks that could destroy your expensive equipment. This handy backpack will even float, no matter how full you stuff it. The large compartment has plenty of space for any type of pro DSLR camera or video system. There are padded slots for up to 5 lenses, or 4 lenses and a flash. You can take out the dividers and put them back where you need them, using the velcro system that creates a fully adjustable organizational area. On the outer cover, there is also a zippered mesh pocket, to hold USB drives and other small items you may need to carry. For extra gear you don’t mind getting wet, there are 2 mesh slip pockets on the outside of this handy waterproof camera pack. Between these pockets is the “tuck-away” tripod holder, which uses a small bottom pocket and bungee cords to secure this larger piece of equipment to your pack. The CollarCut shoulder straps are padded and fully adjustable. There is also a chest strap and padded waist belt, both of which are adjustable as well. Daisy chains on the waist give you even more space to add some extra gear if needed. 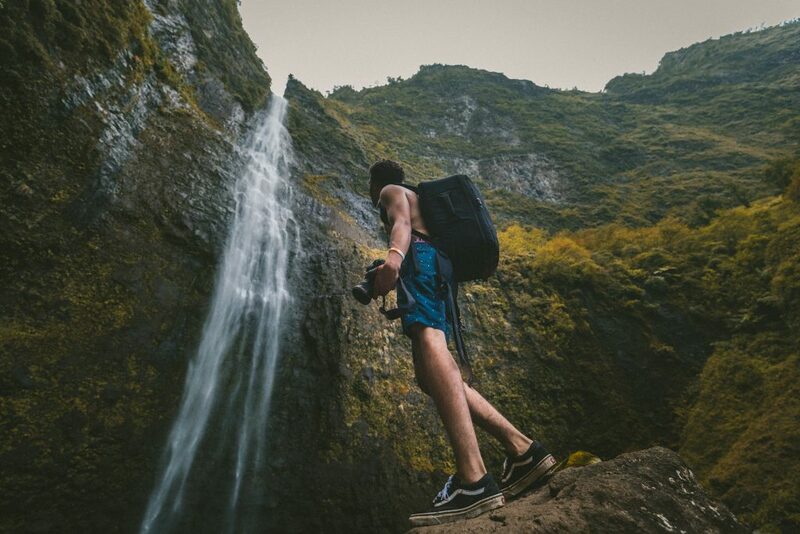 This rugged camera backpack has a ton of features that make it great for hiking, climbing, and any other adventure you want to record with your favorite device. 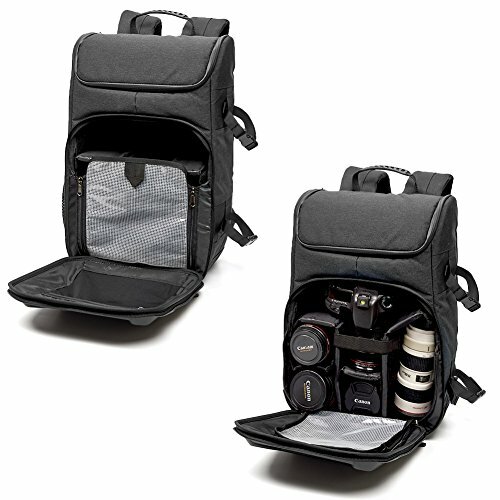 It has a great inner compartment, which uses removable padded inserts that you can adjust to fit your camera and all your flashes, lenses, and other accessories. You can even customize this area to fit a DJI Phantom drone. Waterproof nylon makes up the outer material, with nylon inner linings. There is a shock-proof plastic frame to help hold the shape of the bag. Shock-proof sponge padding protects your gear from bumps and knocks. 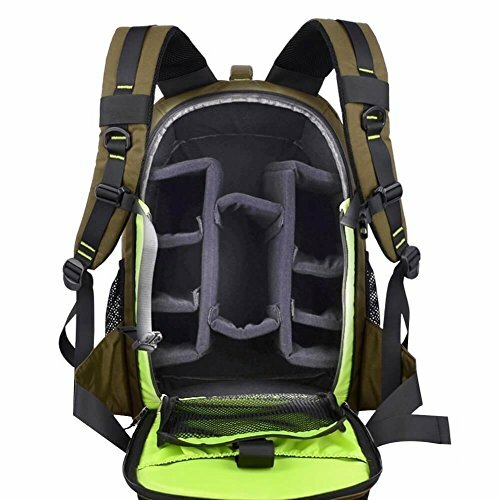 There are padded backpack straps and a chest strap with an emergency whistle. The adjustable waist belt has a couple of pockets for smaller items like phones or wallets. There are also a couple of removable lens holders that can be attached to the backpack straps for easy access. Two slip pockets on the side hold water bottles or other gear. 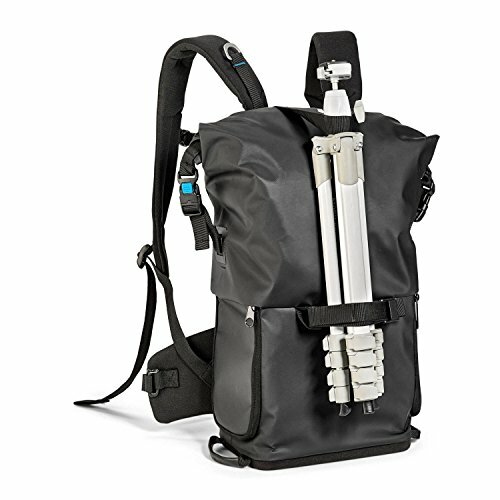 There are tripod straps on the side and front, and bungees on the other side for a trekking pole if needed. For security, there is a combination lock that keeps the zippers closed until you want them opened. There is also a TSA lock on there as well, making this the best waterproof camera bag for air travel as well as for outdoor use. 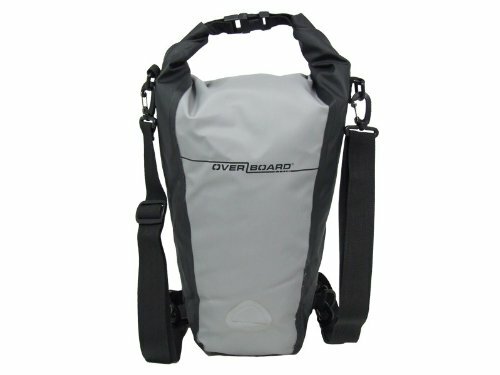 The Overboard waterproof camera bag comes in two sizes, 7 or 15 Litres. Both have similar features, though, so you won’t be missing out by buying one or the other. 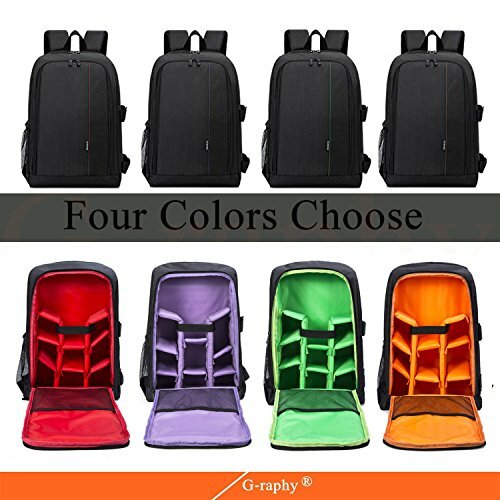 These handy camera bags are made of 600D PVC tarpaulin, which is completely waterproof, especially if you fold down the top and buckle it closed properly. Then you can even submerge it for short periods of time without the possiblilty of leaks. They will even float. 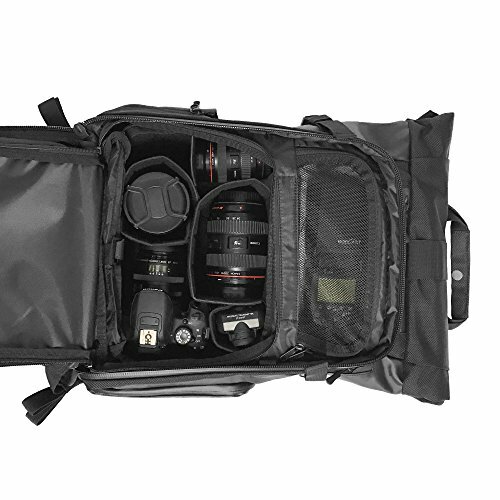 Inside these waterproof camera bags is an open compartment to store almost any SLR camera. There are a couple of mesh pockets inside as well for lenses or other small accessories. Though there are no outer pockets, there are 4 D-Rings which you can use to attach multiple items for easy access. The buckled top makes a handy carry handle. There is also a shoulder strap which can be removed if you don’t need it and stored in the bag for later use. 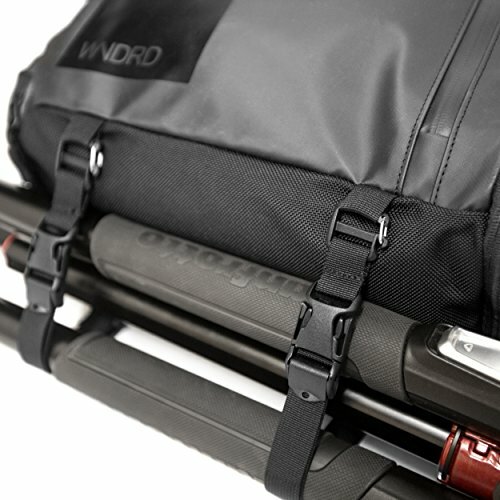 The Overboard dry camera bag is easy to clean with a simple wipe and can be rolled up or folded for compact storage. 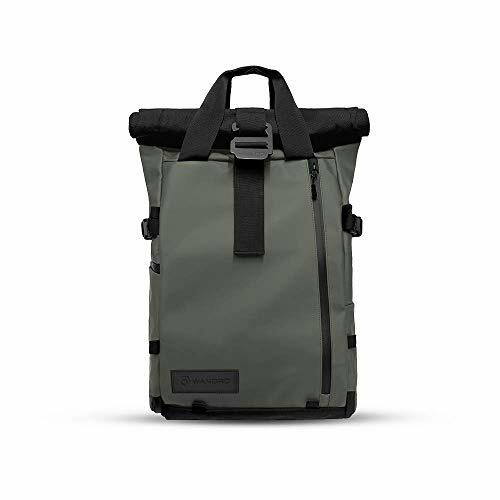 The Abonnyc waterproof backpack is made of durable materials that resist abrasions, shocks, and water, making it one of the most rugged camera bag models around. It protects your gear from almost anything you have to deal with its sturdy fabrics and padded interior. There is a large main compartment, with multiple padded dividers that you can move and customize to fit any type of camera and multiple accessories. Or, if you need less gear, you can take most of them out and pack yourself a change of clothing instead. There is also a mesh pocket and a large slip pocket for a small laptop or a tablet. The front compartment is meant for all your organizational needs. There is another large slip pocket for a second device or some notebooks. There are smaller pockets for pens, phones, and other little accessories. And a large zippered pocket on the inside of the flap holds even more gear. The outside has large padded shoulder straps with a chest strap and a waist belt, all of which are adjustable for the right fit and most stability. Mesh stretch pockets on the sides are perfect for water bottles. There are also daisy chain, plus a strap and pocket combo for toting a tripod as well. 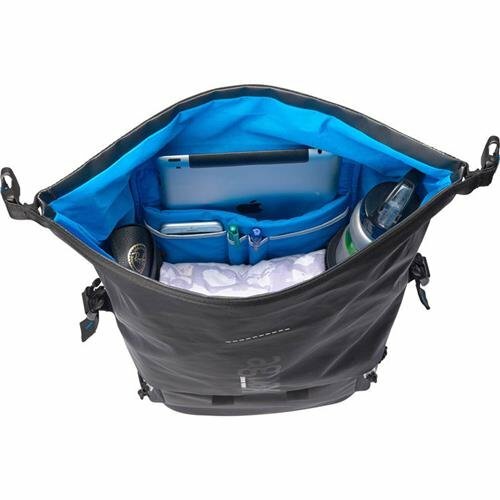 The best waterproof bag will let you carry all your gear in one handy case, allowing you to organize it all for easy access any time you need it. This Evecase backpack does just that, with its three handy compartments. The front main area includes multiple padded dividers to store almost any type of camera you could have, separating it from flashes, lenses, and other camera equipment. There is a zippered divider as well, covering all the equipment while giving you easy access to the camera itself. Then there is the hard shell front panel that protects it all. 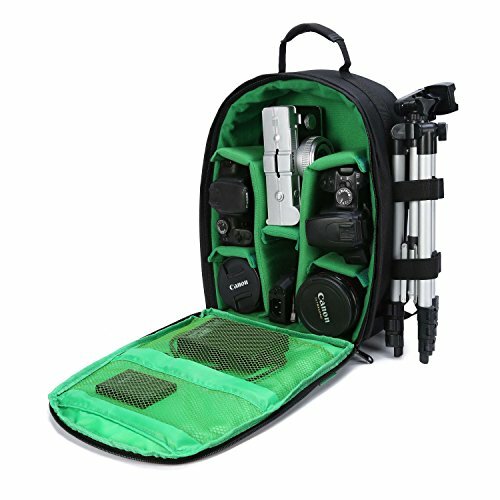 The top zippered compartment has its own removable bag, which you can use to store batteries, straps, cables, lens caps, and any other little accessories you may need to use with your camera. There is a breathable back panel as well, which opens up to reveal a large sleeve for a 15.6-inch laptop and a smaller sleeve for a tablet. 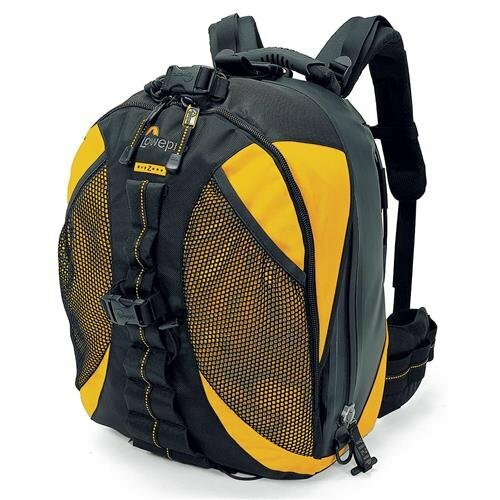 On the outside, there is a mesh water bottle pocket and a D-ring on one side, and two straps for securing a tripod on the other side. 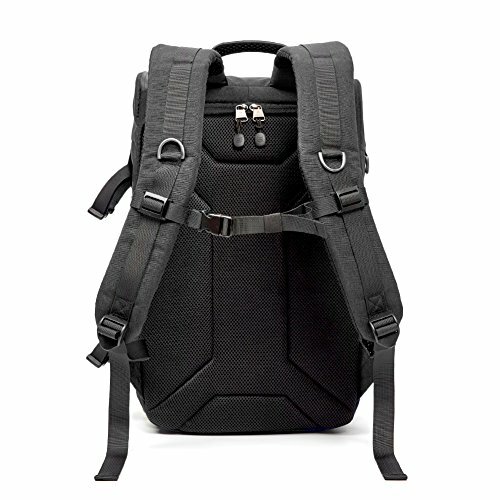 At the back are padded backpack straps, which are both adjustable. There is also another D-ring on each strap for keys or other items. And an adjustable chest strap adds stability. 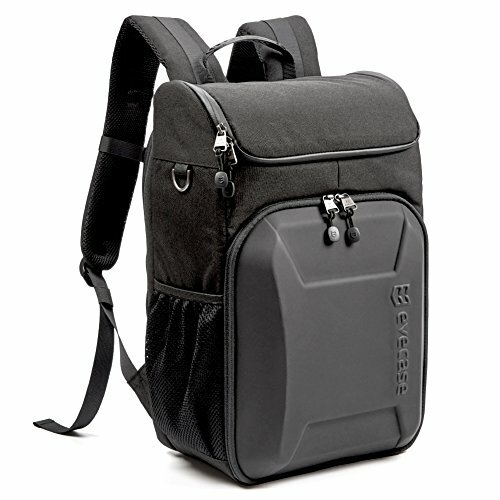 The Zebella waterproof camera shoulder bag has a traditional style that an avid photographer will love. It is made of durable canvas, which is strong enough to handle a bit of rough use, plus resists water to protect your gear from moisture. There is a removable shoulder strap, as well as a carry handle on the back. On the sides of this weatherproof camera bag are zippers, which allow you to expand the bag to fit in more gear. On the front are a couple of buckled pockets to store small items you don’t want mixing with your camera equipment. 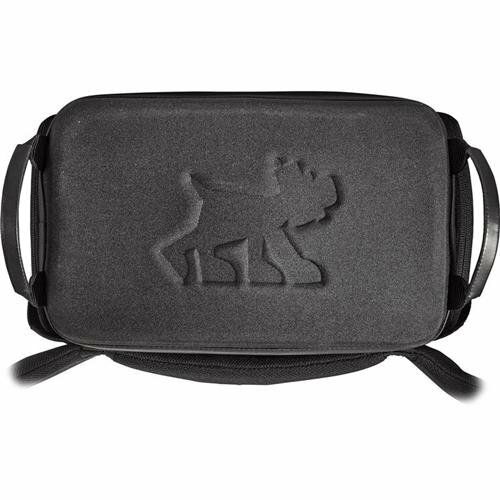 The top folds over and buckles down, with a zippered cover underneath to keep your gear safe and secure. Inside the bag is another little camera bag. This little removable bag has padded dividers you can use to separate your camera from the lens. On the inside of the larger bag, where the little one fits in, there is a zippered and a slip pocket, as well as a few pen holders for added convenience. 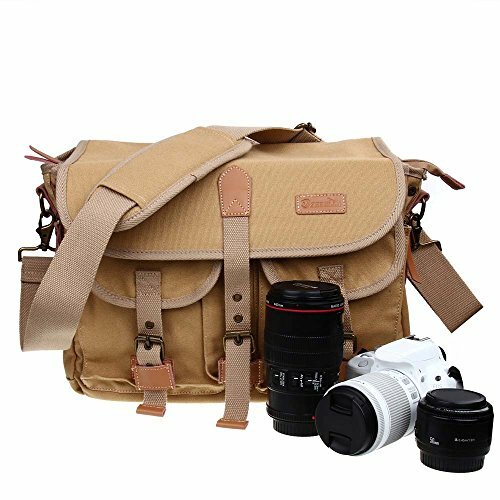 Not only is this one of the best waterproof camera bag models around, it has a vintage style that any photographer will appreciate. And its compact size lets you store and take it anywhere. Plus, it has a great low price that will fit into even the tightest budget. The Miggo Agua Stormproof Backpack is great for all seasons. It uses a double layer of lycra and tarpaulin which protects your camera and accessories from all types of weather, from rainy summer to icy winter. The zippers are also water resistant, and there is a roll top to keep any moisture and dirt from entering the closed bag. There are two main storage compartments. The top one can hold a change of clothing, plus has two water bottle pockets, a laptop/tablet sleeve, and a couple of smaller slip pockets for phones, iPods, notebooks, and pens. The bottom compartment is meant for your camera, as well as the lenses, flashes, and other accessories. This area has its own opening as well, for easy access to your camera. If needed, you can remove the divider between the top and bottom areas to make one large one. On the sides of the bag are some little compartments, one of which has two slip pockets on the flap for your lens cover and a memory card. A small utility pouch is also included to hold small items, such as batteries, cables, and memory cards. Padding on the top of the back panel adds comfort when carrying this rainproof camera bag. The shoulder straps, chest strap, and waist strap are all adjustable for the right fit and proper stability. It comes in two sizes (80, 85) as well, so you can have the right one to hold all your gear. In terms of convenience, this is one of the best waterproof camera bag models there is. It comes in two sizes, a 21L and a 31L.Both have the same features, including the durable waterproof materials and leakproof zippers. There are three ways to access the inner compartments of the bag. You can open the roll top to grab your personal items, like clothing or a pair of shoes. Then there is a zippered back panel that reveals this top section as well as the camera area at the bottom. This bottom section uses removable dividers to separate your camera from the lenses, cords, caps, and other necessary gear. On the side of the camera dry bag is another zippered opening, giving you quick access to your camera or its accessories without exposing the whole inner bag to the elements. With three separate openings, you can always grab whatever you need quickly. 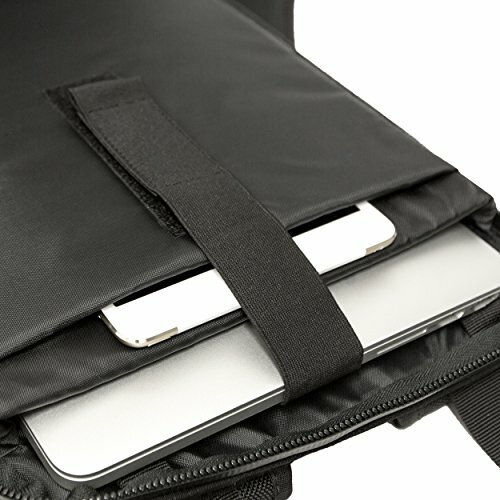 There are two slip pockets on the large zippered flap for a laptop and a tablet. A small passport pocket is on the outside of this flap, next to the shoulder straps. A water bottle pocket on one side of the bag doubles as a tripod pocket, including straps above to keep it secure. 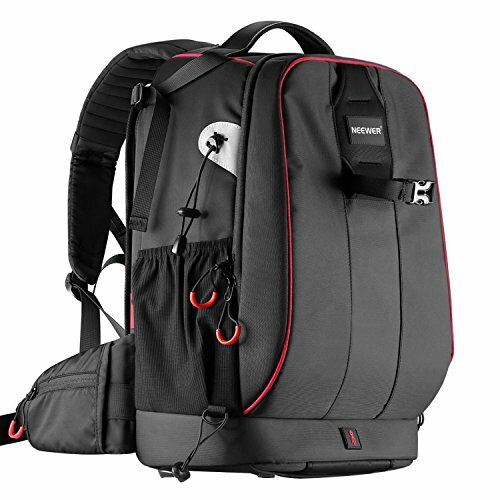 The G-raphy Camera Backpack is one of the least expensive options on our list, though it still has everything you need in the best waterproof camera bag. It is made of durable nylon material, which is not only waterproof, but also tear and abrasion-proof, plus it resists fading, so your bag will look great for years to come. This bag also comes in two sizes and four colors. There is one main compartment, which has a number of removable, adjustable dividers inside. 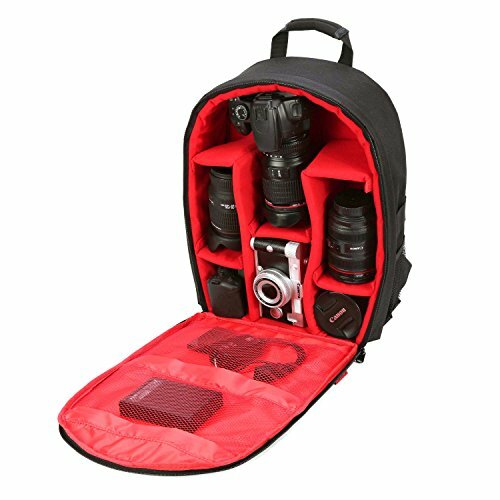 This lets you customize the interior of your bag to accommodate the camera, lenses, flashes, and other accessories as you see fit. Two mesh zippered pockets on the inside of the flap add even more storage area for your gear. 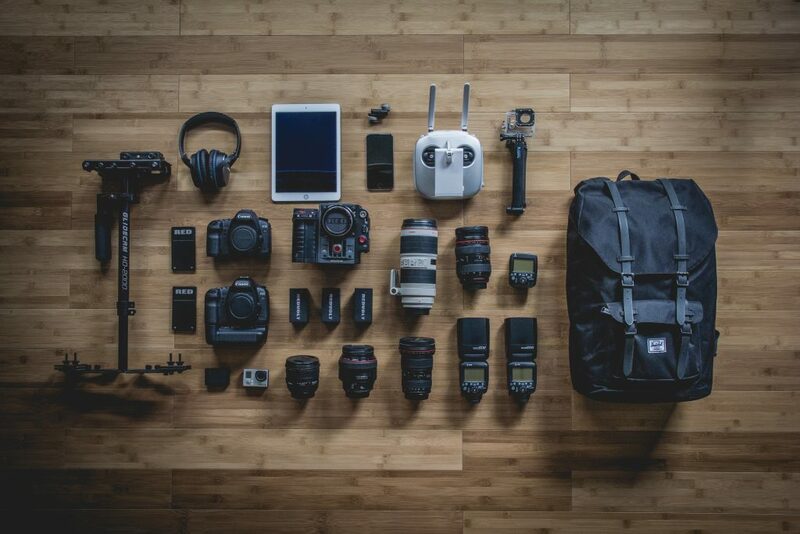 If you need less camera equipment, you can also leave out a few dividers and add a change of clothing or anything else you need for your trip. 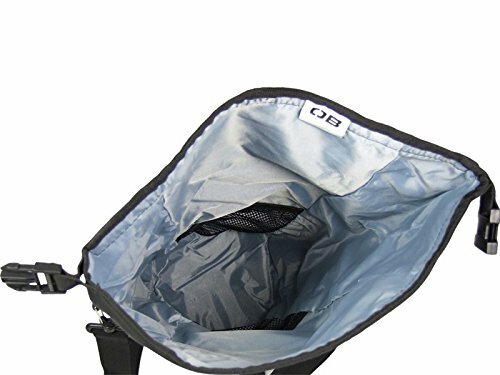 The outside has a basic design, with two mesh slip pockets on the sides that can hold water bottles or other quick access items. One side also has a couple adjustable straps to attach a tripod if needed. On the back are padded, adjustable backpack straps for comfort and easy, hands-free carrying. For added convenience, there is also a sturdy top handle, to make lifting your bag even easier. Whether you’re an amateur photographer just starting out or a professional with years of experience under your belt, one thing is for certain. Camera equipment is costly enough that replacing it can put a large dent in your bank account. That’s why you need a decent camera bag to protect your gear. These bags not only have padded areas for protection from bumps, they are also waterproof to keep moisture from damaging your equipment. Many of them are even submersible, which is essential if you’re taking your camera and all its accessories near or on the water. 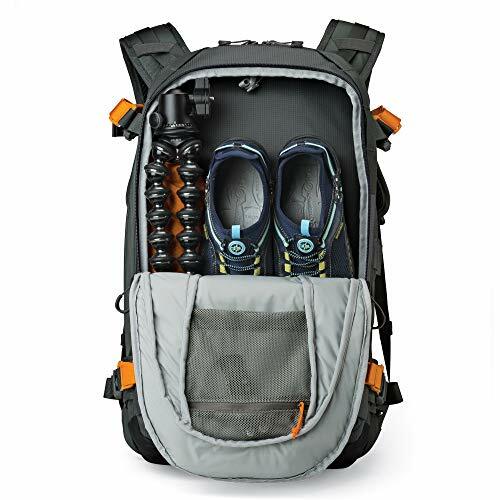 Another benefit of getting the best waterproof camera bag is that they are versatile, adding room for your personal items, like clothing or shoes. Many of them also add in slip pockets for laptops and tablets. Using one of the bags gives you room for everything you may need for photographing a wedding, some wildlife, or anything else that crosses your path. If you’re just using a small handheld digital or film camera, you can likely slip it into a purse or backpack, even a pocket if needed. But for those who have a larger, more expensive model, there are usually a few extras that come with it. These can include flashes, lenses, memory cards, cables, and tripods. The best waterproof camera bag will have room for them all. Those who use these types of cameras are usually in some sort of professional industry. This can include fancier occasions, like weddings or birthday parties, which can take place inside or out. Wildlife photographers also use this type of equipment, which means they will be spending the majority of their time dealing with whatever nature throws at them. If you like to take your camera and all its necessary equipment out of the safety of your home, where rain, snow, or dust will be a major part of your day, a great camera bag like those reviewed here should definitely be on your gear list. Not all waterproof camera bags are created equal. For this reason, you should consider the features each one has to offer before choosing one, to ensure it has everything you need for your next adventure. The size of the camera bag you choose depends on how much you need to carry. The camera itself is a given, but these come in different sizes, so you need to ensure it will fit in the bag with or without the extras. Then you need to check on the storage area for the rest of the camera equipment. Most of the models we reviewed have internal dividers you could move around to customize the interior. This makes it easy to fit in your lenses, flashes, and other gear. Some also have pockets or pouches for cords, memory cards, and anything else you need. If you want to add changes of clothing, jackets, shoes, or other personal items, the size of the bag should be able to accommodate all of these extras as well. The beauty of modern camera bags is that most of them are versatile. You can use them for pretty much any type of activity you want. For instance, they are durable and strong, making them great options for hiking, backpacking, or climbing. But many models also have a sleek, stylish design that would work well in any professional setting. 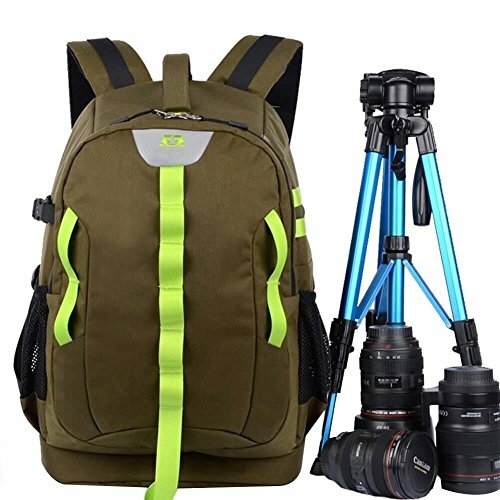 This makes it easier, and cheaper, to choose a waterproof camera bag for all your photography since you can use the same bag to carry your gear to a fancy dress occasion as you would to take some stunning wildlife pictures. 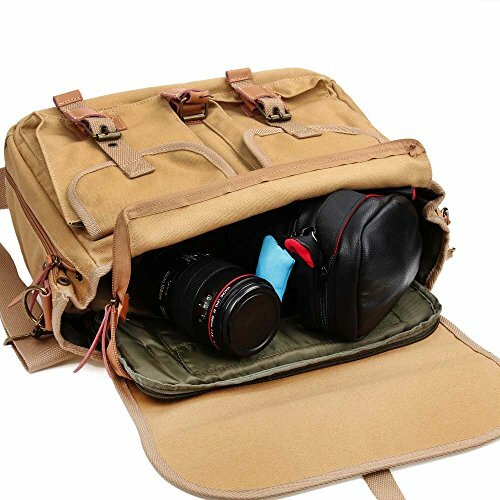 Like other types of carry bags, camera bags need to be made of durable materials like nylon, polyester, or canvas. These types of materials resist tears and abrasions, but on their own, they don’t do much to repel water. For this, they need some type of water-resistant or waterproof coating to keep the moisture from damaging the gear they are carrying inside. Many of the best waterproof camera bags take this a bit further, adding in waterproof zippers and extra strong seams to keep everything safe and secure. For a fully submersible bag, these features aren’t enough on their own. To completely block out the moisture, some models remove the zippers in favor of a roll-top, which uses strong material that completely locks out moisture when the lid is rolled tightly and secured in place. 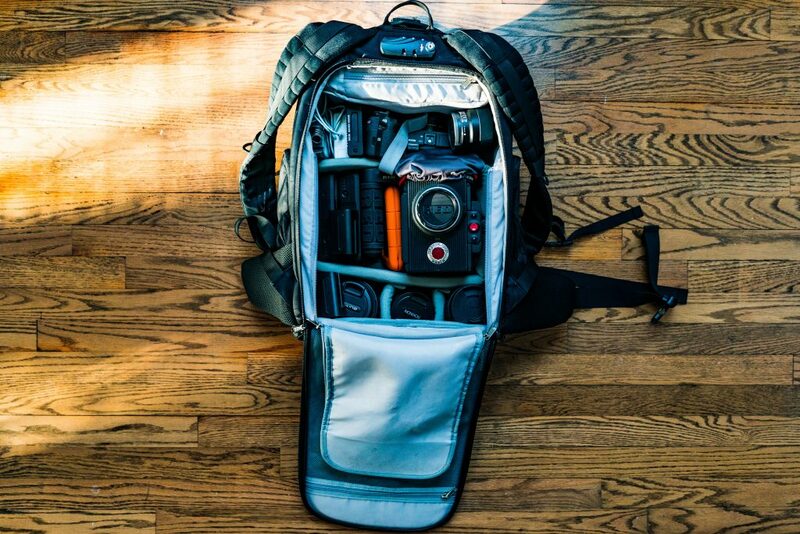 There are a couple of different carry options when it comes to camera bags. The handiest and most common types are the waterproof camera backpacks, which look similar to a regular backpack on the outside but are a bit different on the inside. They have the storage area for the camera equipment with dividers and pockets, plus some add in some compartments for clothing and other gear. 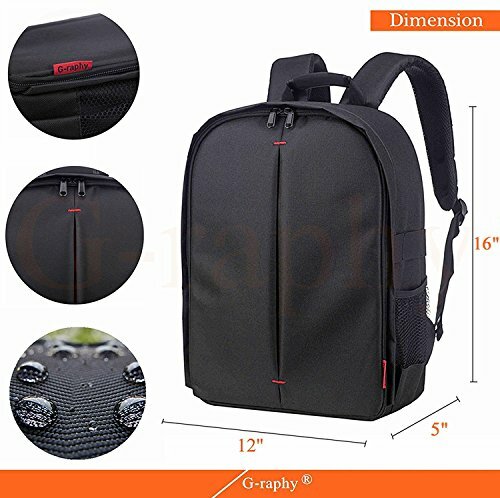 These types of bags have padded back panels and shoulder straps. Many of them even add chest and waist straps for added stability. Another popular type is the shoulder bag, which is a more traditional type. These open at the top, revealing the large storage area for your camera equipment. There are usually a few pockets inside and out. They include a shoulder strap and some carry handles. 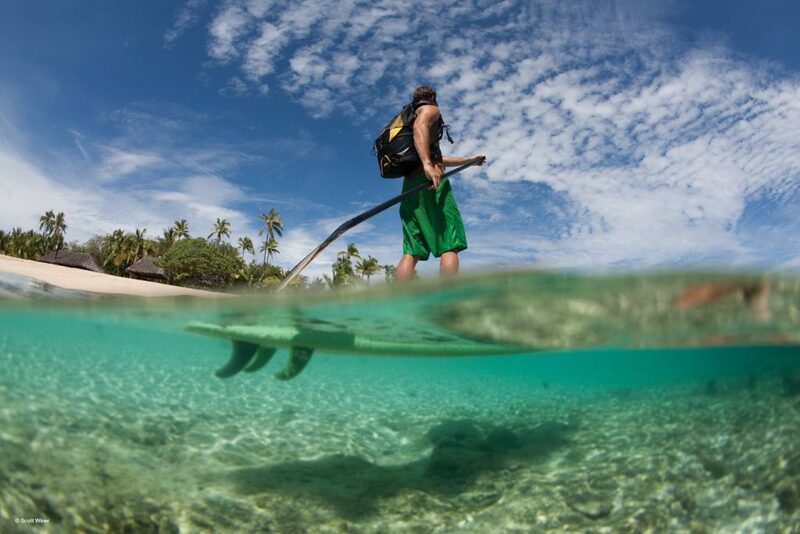 The style of your waterproof camera bag depends on your personal preference as much as what you’re going to use it for. If you like a sleek, stylish bag, then you won’t be happy with a more rugged-looking model. Luckily, there are different styles of bags for you to choose from, so you’ll have little trouble finding the right one for you. These bags also come in a variety of colors. You can choose basic black, or find one with some accents and detail. There are also other colors, like simple browns or flashy reds and blues. You can even get one with a more subtle appearance on the outside and some eye-catching color on the inside. Whatever you like, there is a bag for you. 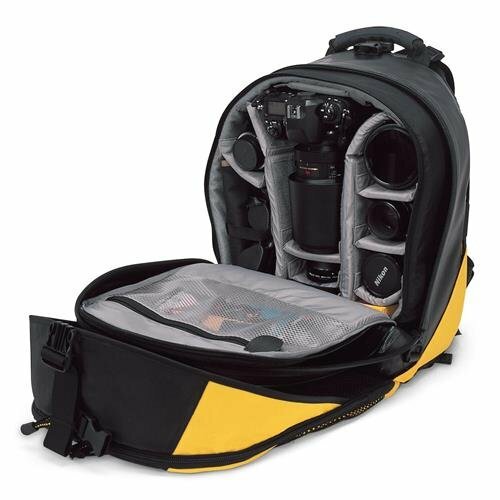 A decent waterproof camera bag needs compartments to store all the gear you need to carry. The main one should be designated for your camera equipment, with slots for each piece. It is best if these are customizable as well as padded for extra protection. But many camera bags add in other compartments as well, for clothing, jackets, shoes, and other gear. This makes it easier to carry everything you need for a day trip without forcing you to mix them all together. Everything has its own space so it is all easy to access when you need it. Side compartments are great for those small items you want quick access to, like a commonly used lens or its cover. Having space for a laptop or tablet can let you add your pictures to your albums quickly on the road. This also lets you free up your memory card for more pictures. A laptop compartment is a must for these occasions. A bag’s durability is one of the most important features. If it falls apart after you use it a few times, not only will you have wasted your money on an inferior product, you may have to replace some camera equipment if it was damaged at the time the bag failed. There are a few things you can check to make sure your bag will last. One is the type of material used. Nylon, polyester, and canvas are the most common, due to their strength. But you should check to make sure they are tear and abrasion-resistant, as well as waterproof. The bottom of the bag should be reinforced since this is the area that will be carrying the most weight, plus it rubs on the ground whenever you put the bag down. The seams should all be secure, especially around the straps and on the bottom of the bag. The zippers are also something to check, to make sure they are strong and won’t break at the slightest tug. One feature that a photographer will approve of is some type of tripod carrying system. These are usually located on the side or front of the bag and include straps or bungee cords to hold the tripod in place. For those who plan to take their pictures in the great outdoors, daisy chains and loops for tools, keys, flashlights, and other necessary gear is also a great addition. Compression straps help cinch down your pack after you pack it, giving you a smaller bag to carry while reducing shifting of the items inside. A rain cover is also a great addition to even the best waterproof camera bag. In a downpour, you’ll want all the protection you can get to keep your equipment clean and dry. When you are looking for a new waterproof camera bag, you need to consider the price. Some of the bags we’ve reviewed here are quite expensive, costing over $500.00. But you don’t need to spend that much to get a decent bag. There are a few that are under $100.00 for those on a budget. Of course, the less you spend, the fewer features you are likely to be getting. You may not have all the extras of a larger bag and possibly be dealing with lighter, less durable materials with limited waterproofing abilities. Be sure to check out the materials and everything else the bag has to offer before you buy, so you know exactly what you’re getting. Whether you’re a professional photographer or just enjoy it as a hobby, you likely want your equipment to be protected in every situation. Having the best waterproof camera bag to carry or store your gear is something you should be using to ensure those expensive pieces remain in the best condition possible. We’ve reviewed ten different camera bags here, all of which are a great addition to any photographer’s gear. But there are a few models that stand apart from the rest. For those who spend a lot of time in or on the water, you need a bag that can withstand a great deal of moisture. 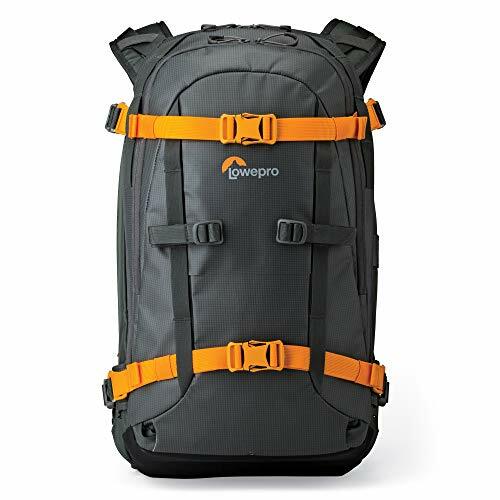 The Overboard Waterproof Pro Sport SLR Camera Backpack is a must for this type of use. It is completely waterproof, even if submerged, keeping your equipment dry at all times. 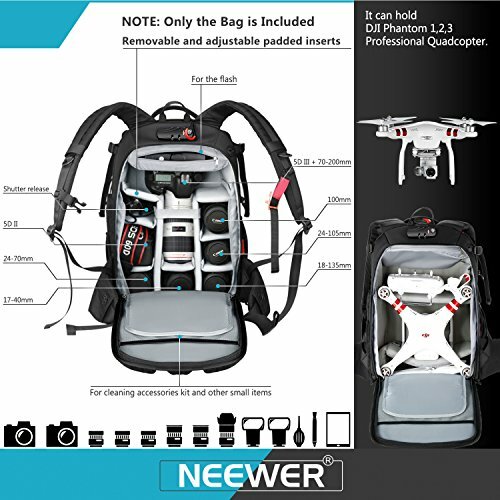 If you plan on traveling with your camera equipment, the Neewer Pro Waterproof Camera Backpack is the only one on our list that has a combination lock for the zippers. It also has a sleek design for modern use, but all the padding and features necessary for taking it out in the wild as well. Some photographers prefer a more traditional style. For these people, the Zebella Casual Waterproof Canvas Shoulder Bag has a vintage look that will draw the eye. But this shoulder bag is also durable and repels water, plus has all the room you need for all your equipment.